Do you remember that classic, children's book, Blueberries for Sal ? As a child, I was fascinated with the idea of picking berries in the wild--especially when a bear was in the midst. It seemed so frightening, yet magical at the same time (Sal certainly didn't seem worried!). 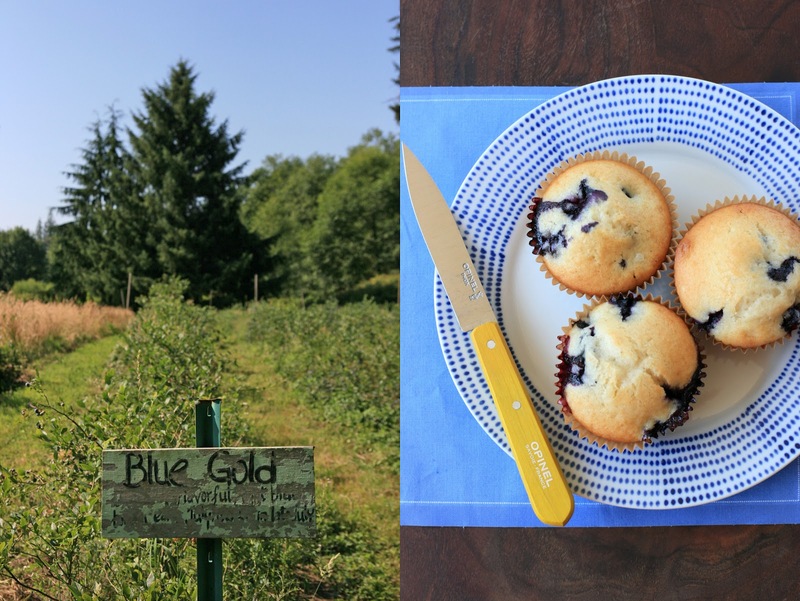 Reading that simple story recently made me think about picking blueberries with my own children and after a quick google search, I stumbled upon Henna Blueberry Farm in Fall City. It was a bit of a schlepp, but I craved playing country mouse that day. I was ready to leave the city behind in favor of quiet pastures and in the mood for a little discovery. 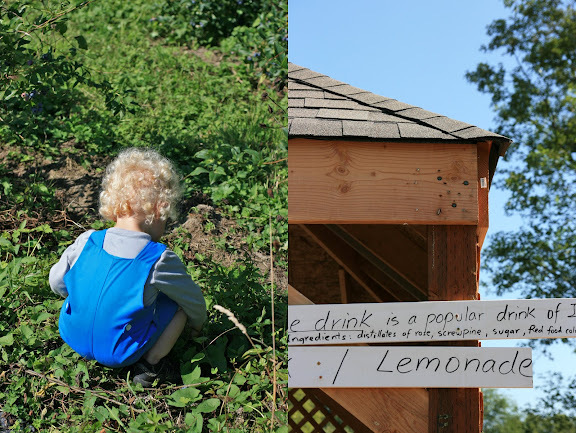 Upon arrival, each of us picked up a bucket and headed over to the fields. "Try over near those trees in the corner", the farm owner advised as I began chasing Gray...(a common scenario these days it seems...). So over to the little grove we went; and sure enough we found bushes brimming with big, juicy, organic blueberries*. 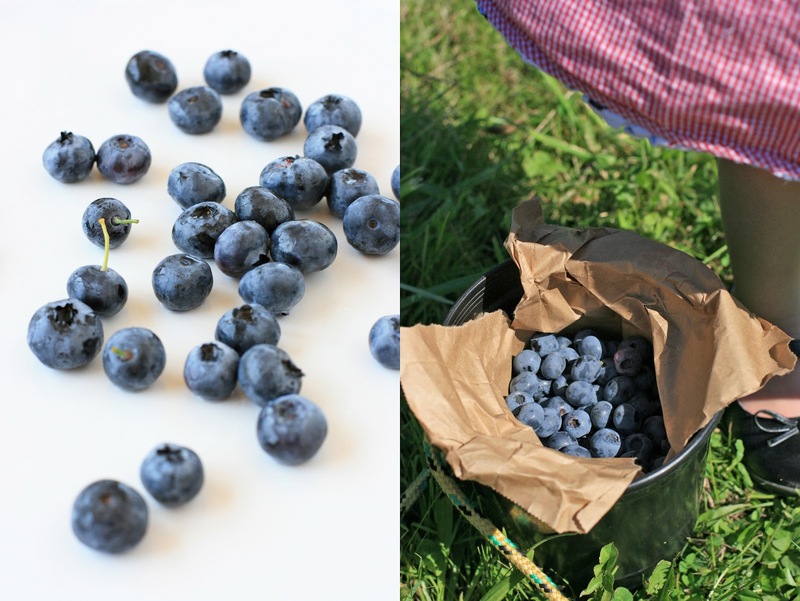 They were the best blueberries I've ever tasted and I began scheming what to make with them. Definitely blueberry buttermilk pancakes for dinner, but what else..."muffins" the kids requested! * Henna Blueberry Farm isn't certified organic, but they follow most organic practices, including not spraying with pesticides. They are just too tiny of an operation for such certification to be worth the expense. It was a rare, hot day; meaning, we actually felt sweat pouring down the sides of our faces. The little ones didn't last more than 45 minutes, so we wrapped things up and headed to pay for our edible treasure. Since blueberries are quite easy to pick once you hit the right bushes, we were able to accumulate several pounds in that short period of time. I practically squealed with delight! And since I am a total sucker for homemade lemonade (and it was a very warm day), I couldn't pass up the hand-written sign indicating my favorite drink was available. It was such a nice touch, and in a completely unpretentious way. Perfect. 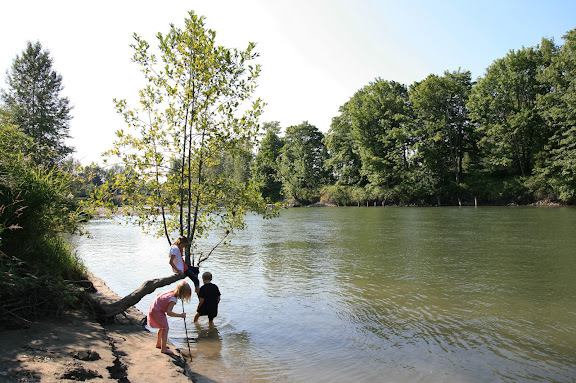 On our way in we passed a calm, sparkling river and the kids begged me to find a place to stop so they could dip their feet in the cool waters. I told them "maybe after blueberry picking" and boy they didn't let me forget it! After driving around for about 15 minutes we discovered the perfect landing pad and decided to cap the day with getting our feet a bit wet. It felt like the perfect ending...at least before getting stuck in President Obama's motorcade for 2 1/2 hours that is :) Ay yay yay! Recipe for Blueberry Breakfast Muffins here. Excepting the blocked traffic, that sounds like my perfect day. I used to take my still-nursing baby blueberry picking when we lived in Florida. I finally discovered bilberry bushes -- a wild English cousin to the blueberry -- and picking some last week felt so satisfying. blueberries are cheap at the moment-but would love to have them in that abundance. looks like a lovely day! Beautiful pictures, as usual. I do love blueberries and a few weeks ago, we were in Union Pier, Michigan where we picked up 10 pounds, of which we actually picked 2oz. It was 98 degrees and I couldn't resist the big box just staring at me. We made cobbler, and pancakes and just ate them straight from the box! What a fantastic day! I would love to live near a blueberry farm. I can sympathize about the Obama motorcade, he regularly shuts down traffic here in Chicago! What a beautiful day! I took my boys when they were quite young blueberry picking in Florida. The berries were huge! It was such easy picking. You are right that you don't need a lot of time. It was very rewarding and fun. The traffic backup was unfortunate...not a fan of the current president. 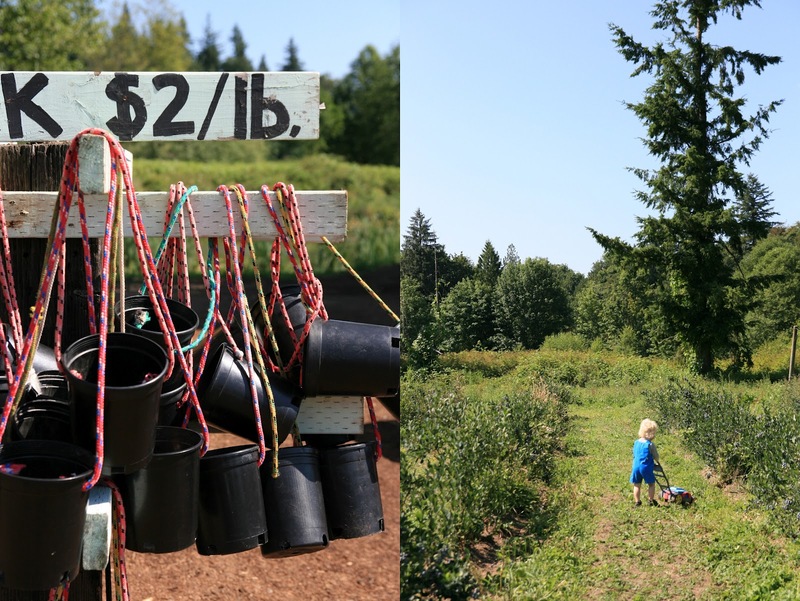 I grew up in Carnation so these farms are close to my heart. :) And, blueberries for sal was one of my favorite books growing up! Beautiful photos! Not a fan of Kathy's comment. 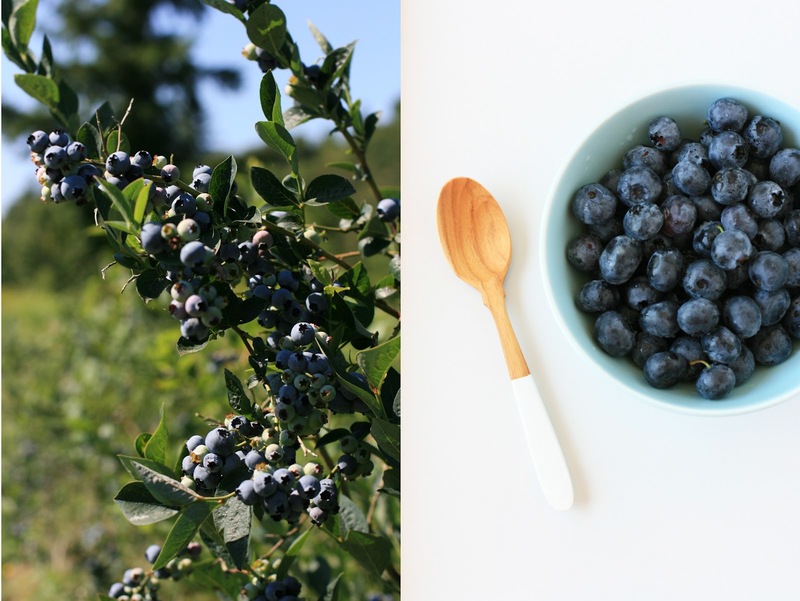 A farmer from our Farmers Market drives to Washington each week to bring us fresh blueberries and they are such a treat! 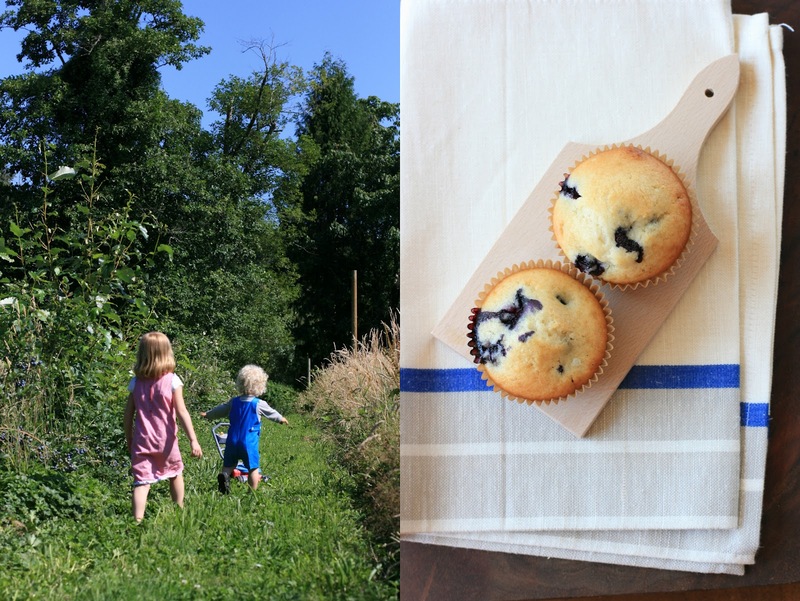 As you know from my Instagram account, my family is obsessed with berry picking! In my humble opinion, it is one of the best things to do in life. :) We still have a ton of berries, so I'll be using your recipe tonight!